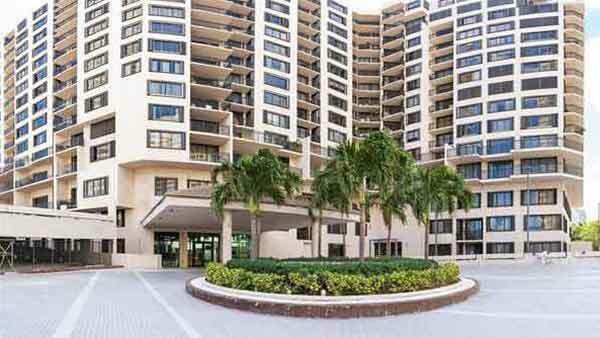 Brickell Key Two condo is located at 540 Brickell Key Blvd on Brickell Key near Brickell Avenue and Downtown Miami. 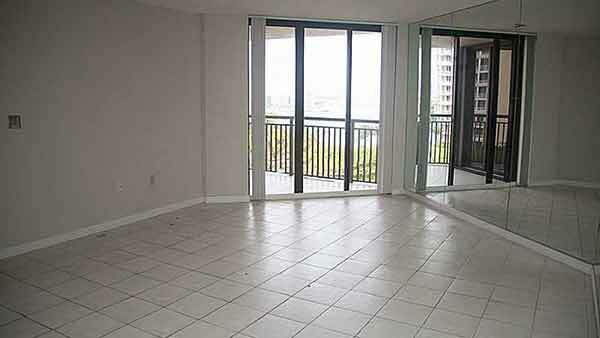 Brickell Key Two condo has incredible bay, city and ocean views and year round bay breezes. 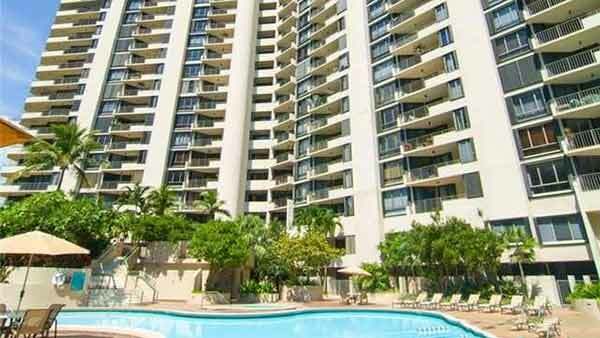 Built in 1991, Brickell Key Two is a 17 story building with 395 total condo. 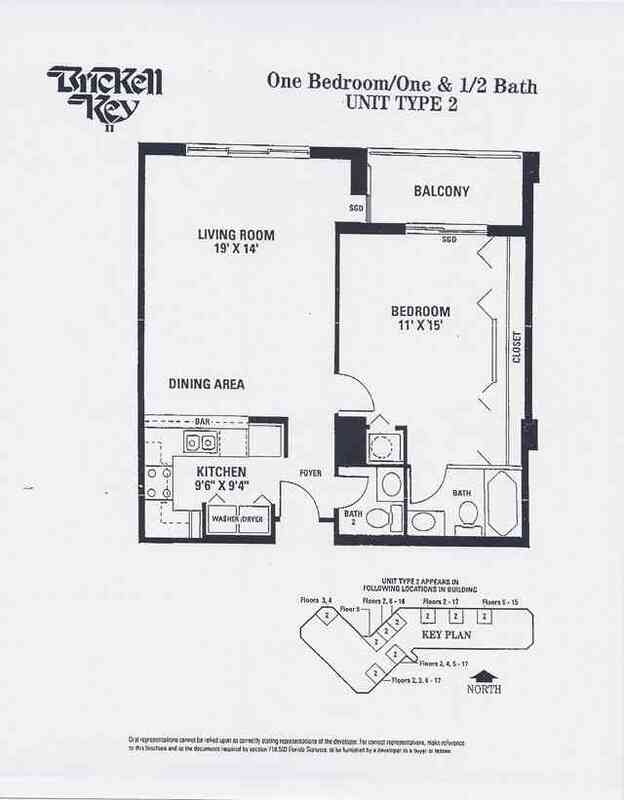 Brickell Key Two is available for immediate occupancy. 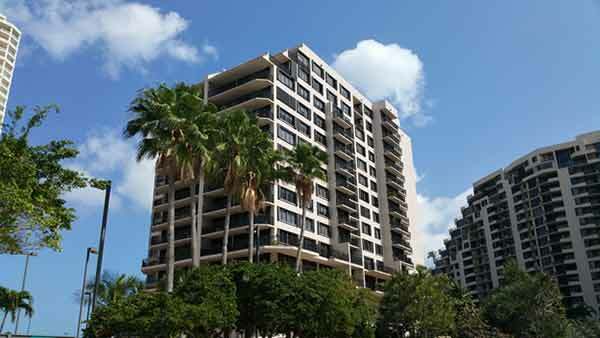 The Brickell Key Two Condo in Miami is located at 540 Brickell Key Dr in the Brickell Key Neighborhood of Miami Florida, Brickell Key ll was the second one to built in the Island of Brickell Key in 1991, following the success of Brickell Key l in 1982. 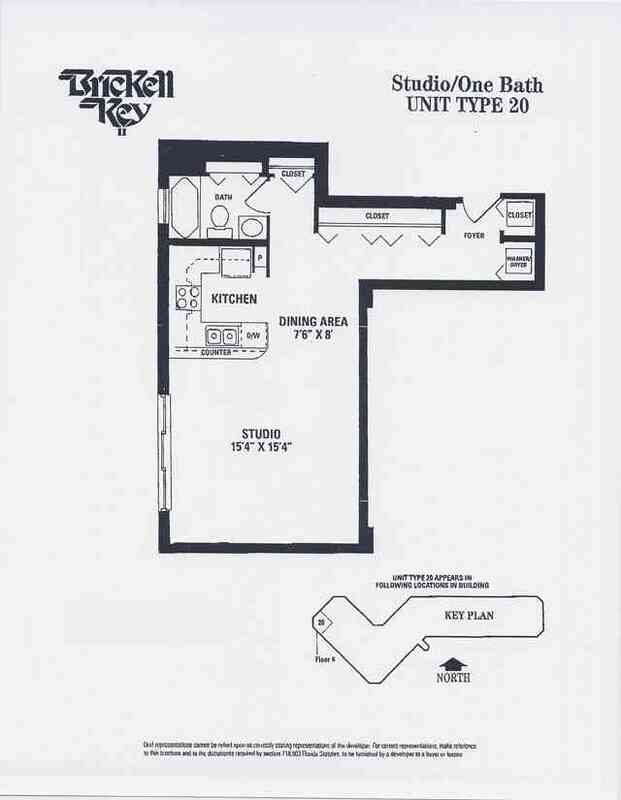 With 395 unit and 18 floor in height (204.58 ft). 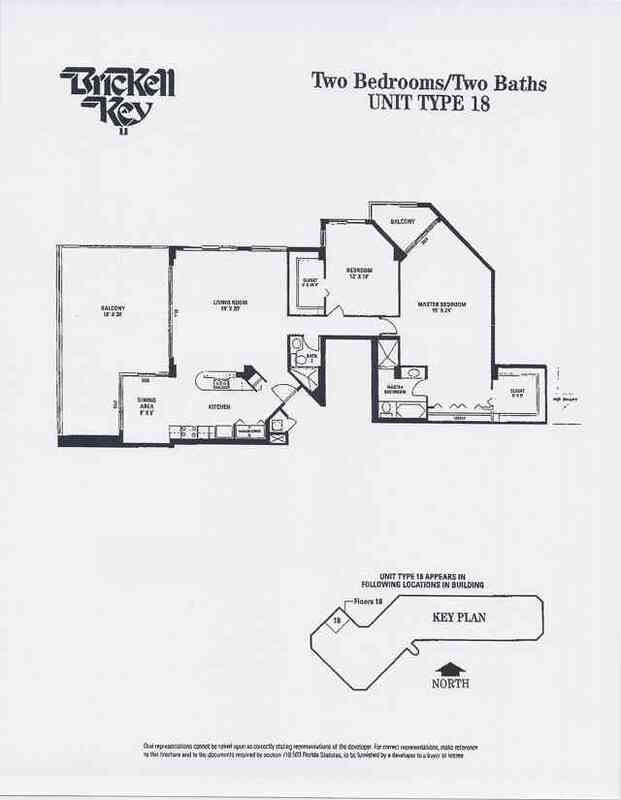 The building offers 1, 2 and 3 bedrooms and penthouses with views of Biscayne Bay and the surrounding area. 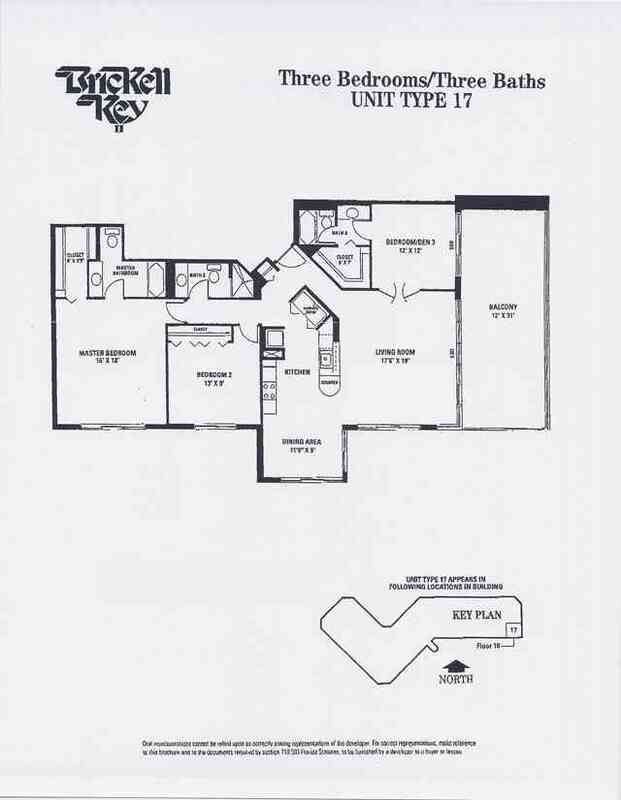 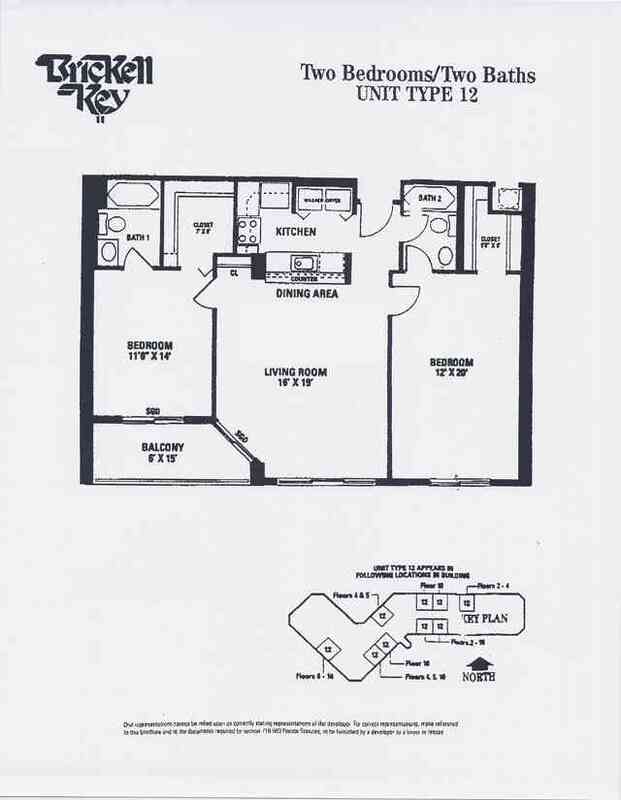 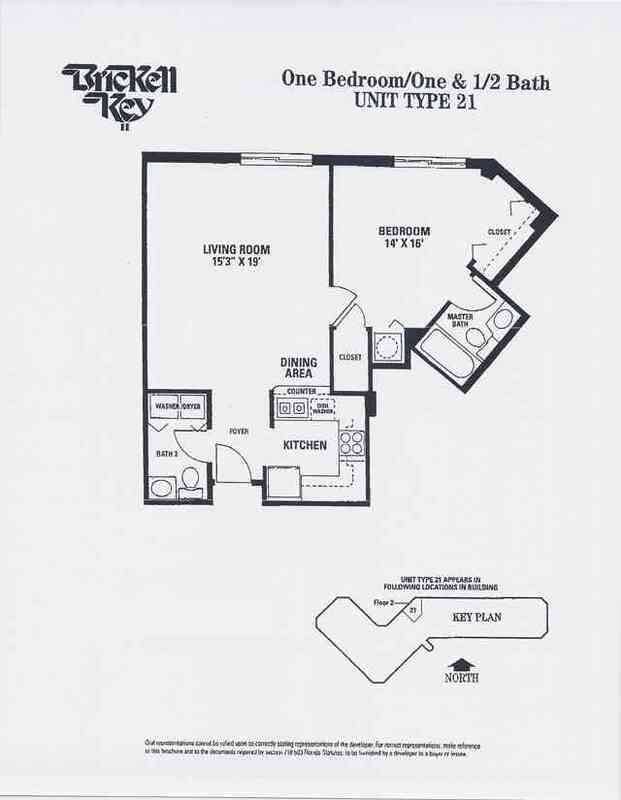 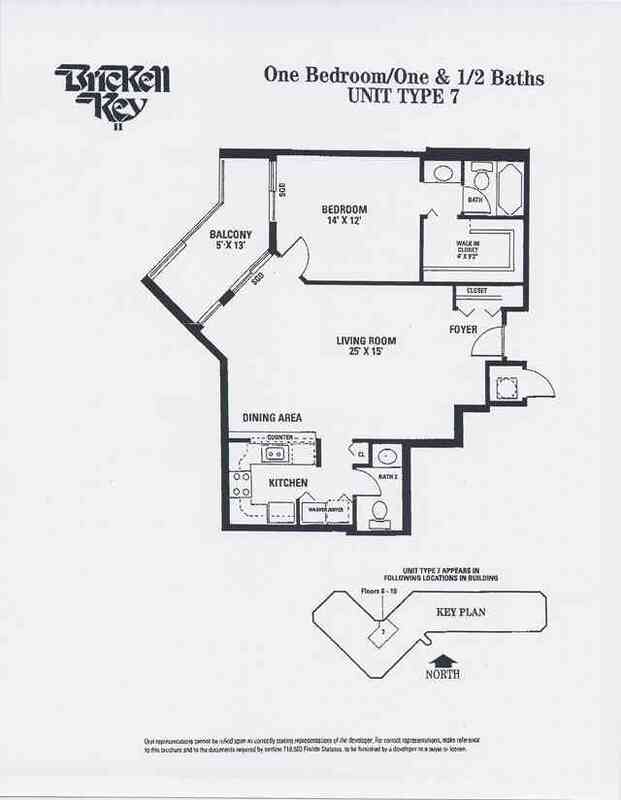 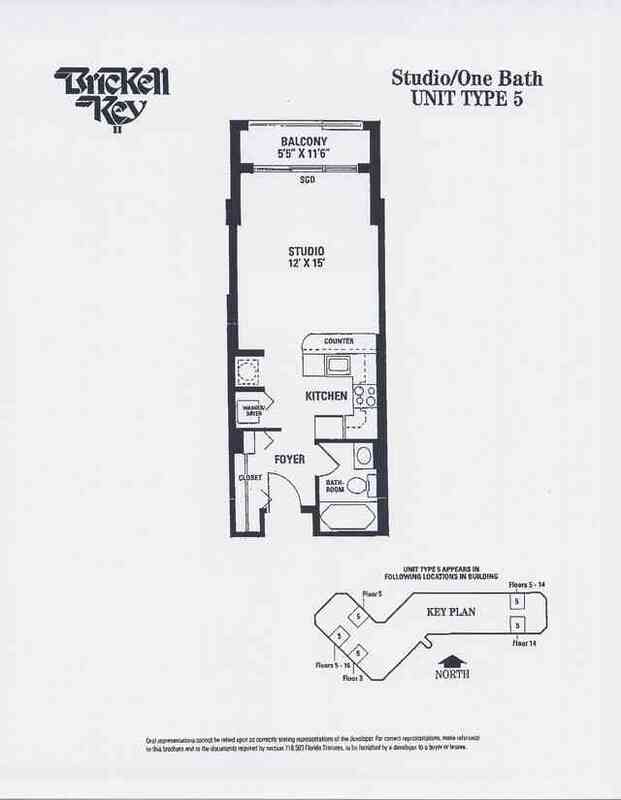 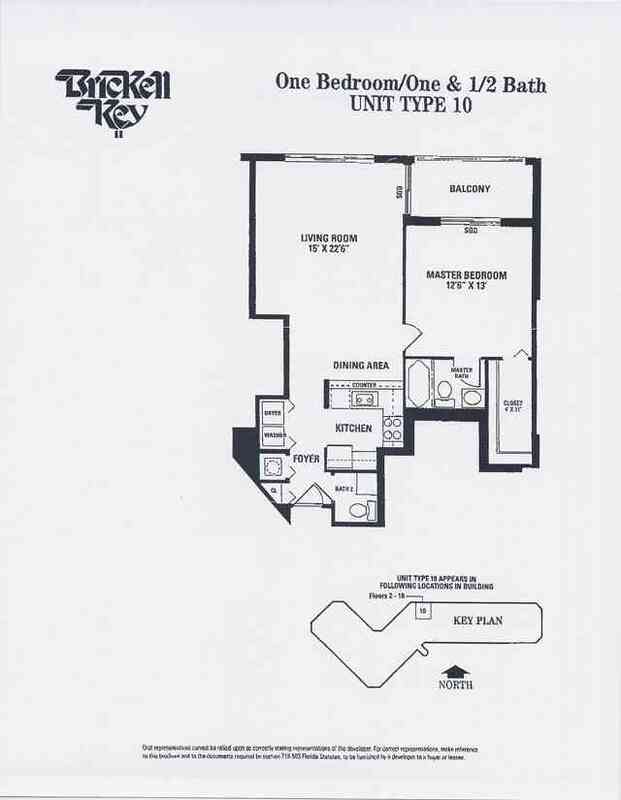 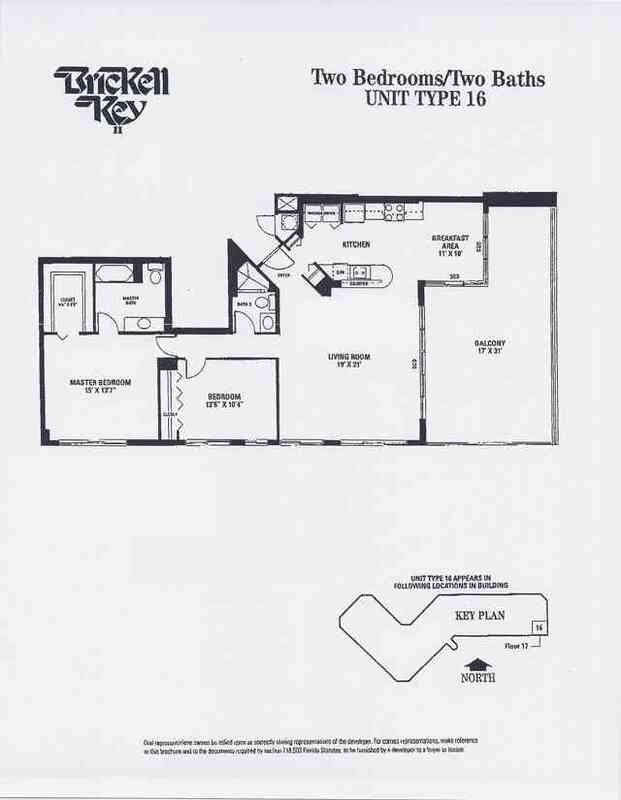 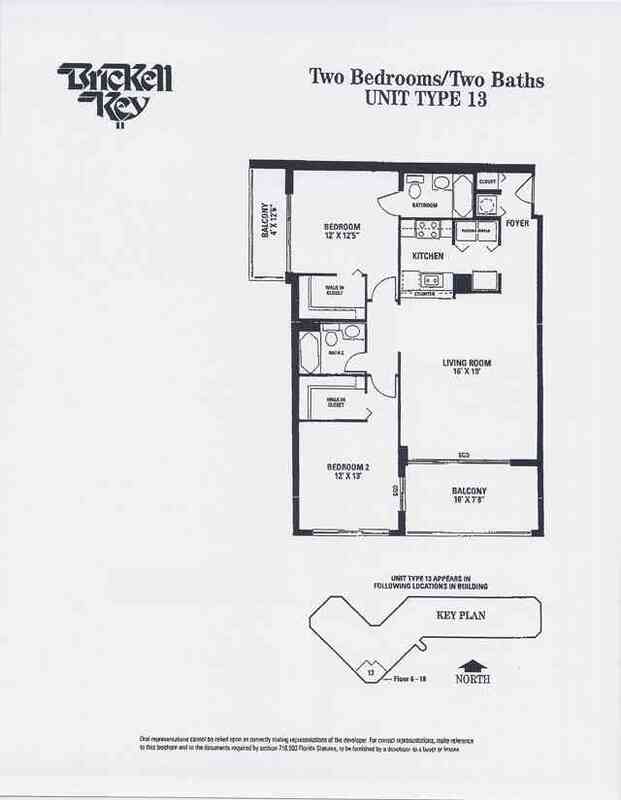 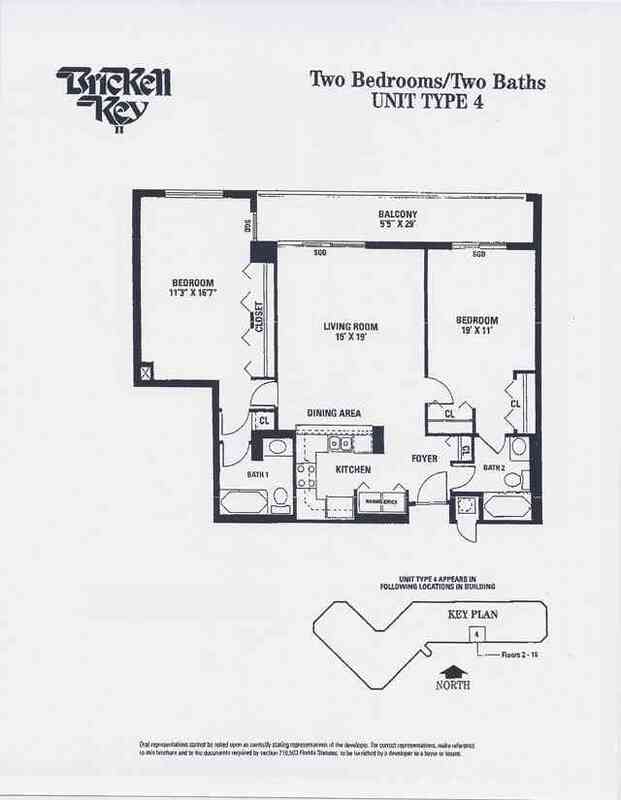 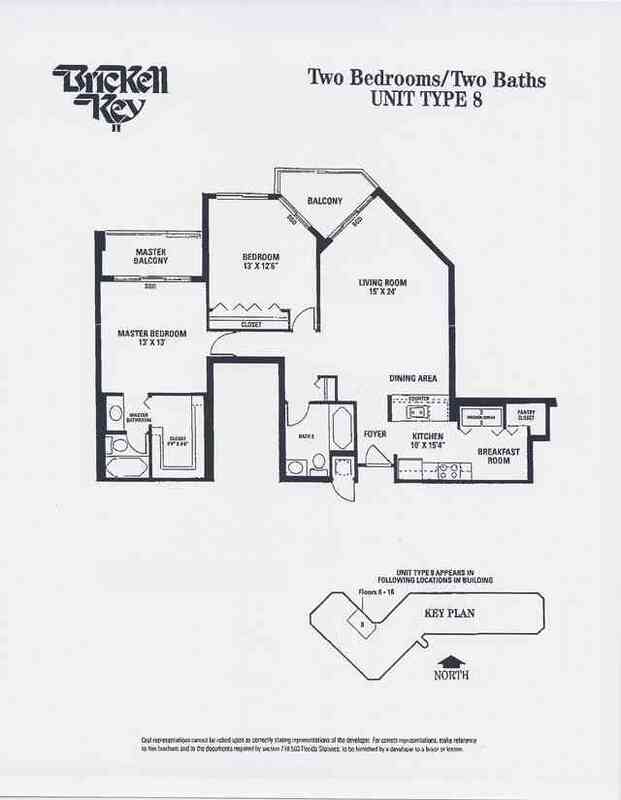 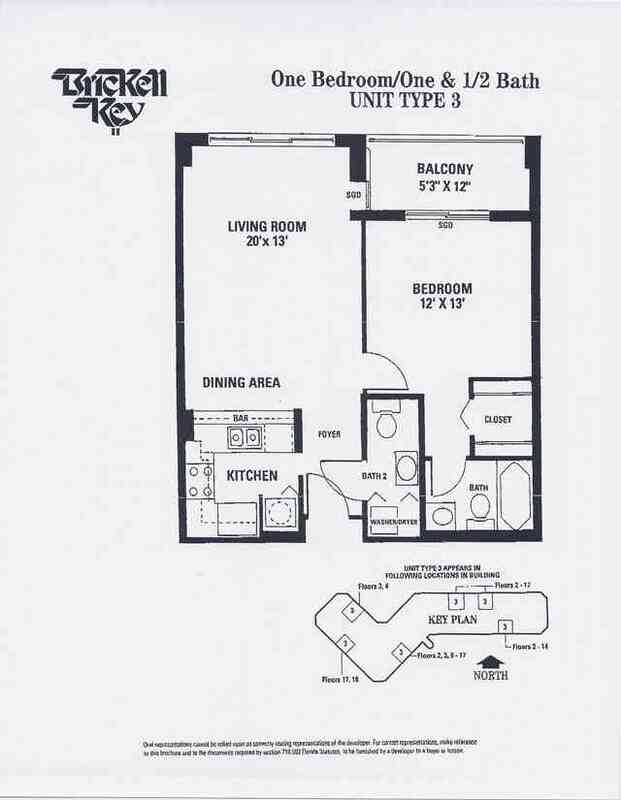 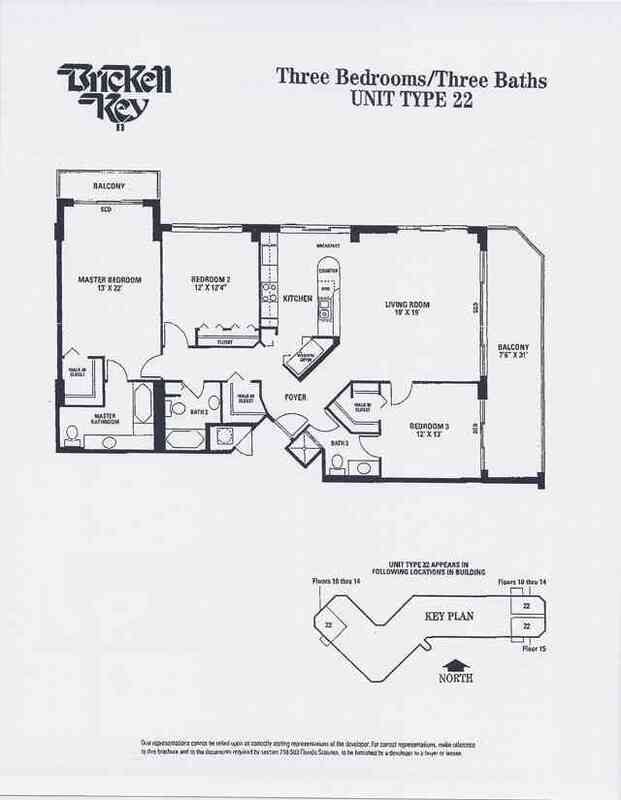 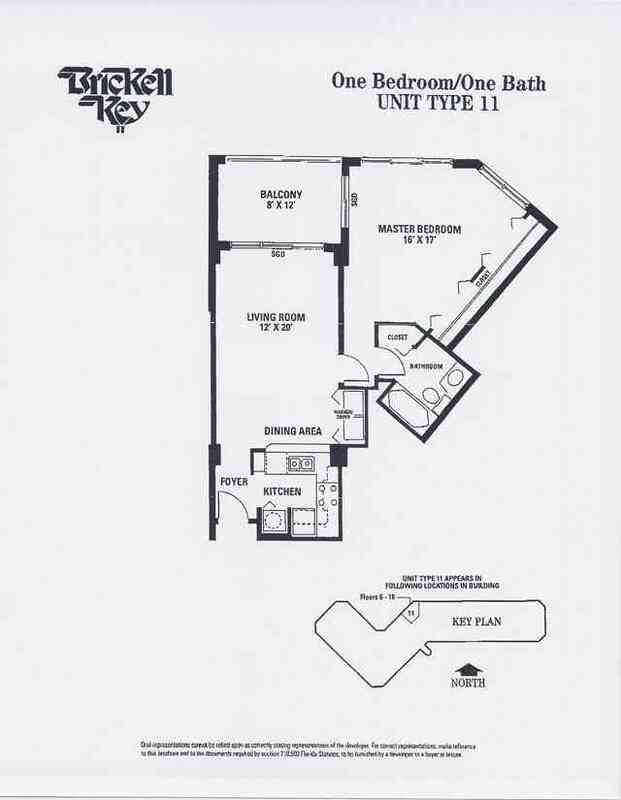 Units floor plans is ranging in average from 370 to 2,700 sq ft plus large penthouses units. 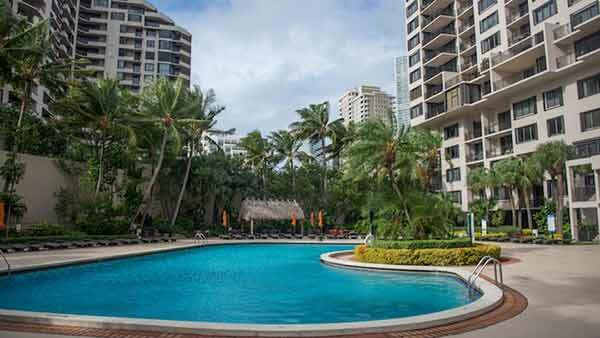 Surrounded by water and provides a quiet, tranquil lifestyle with near by restaurant, market place, Park with children’s playground and next to the well-known Mandarin Oriental Hotel. 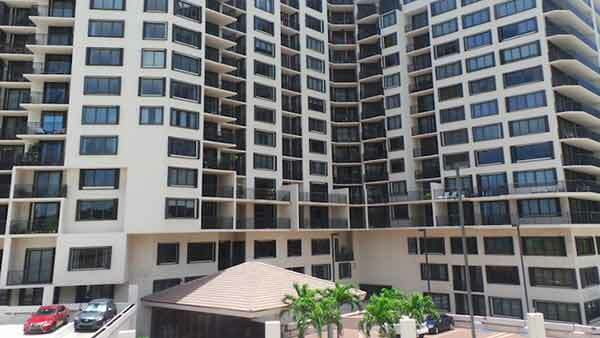 The Brickell Key Two condo association with in-house management enforcing policies and regulation of the building. 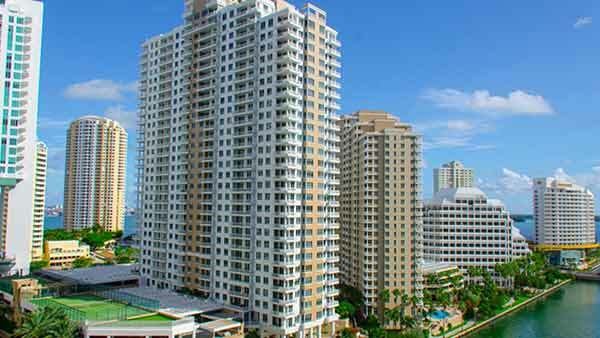 Rental is allowed, unit owners can rent their condo unit for minimum 1 and providing rental application to the condo association. 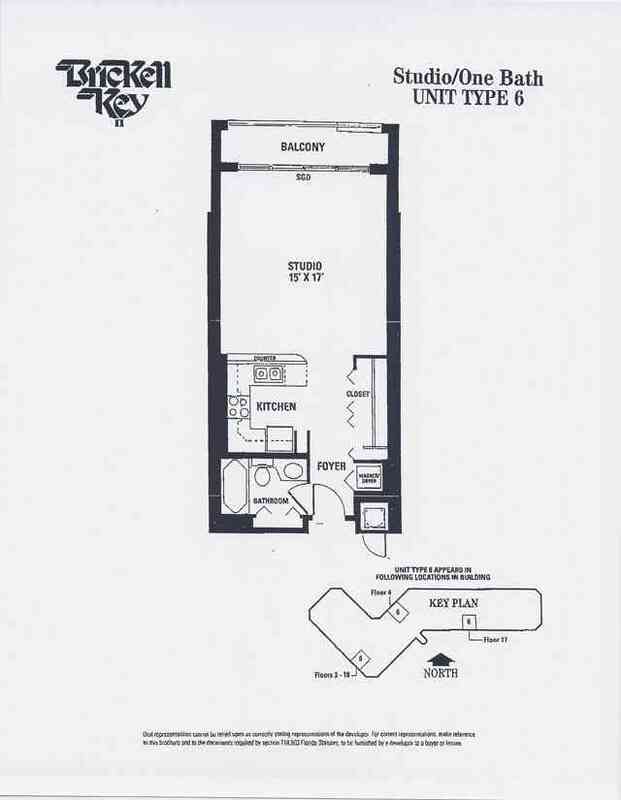 The building is pet friendly for owners, no tenant pets is allowed (subject to changes is any in the future). 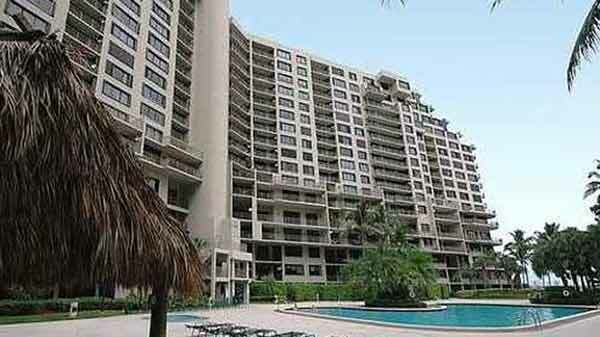 Security is provided to the building around the clock with other vital services.. 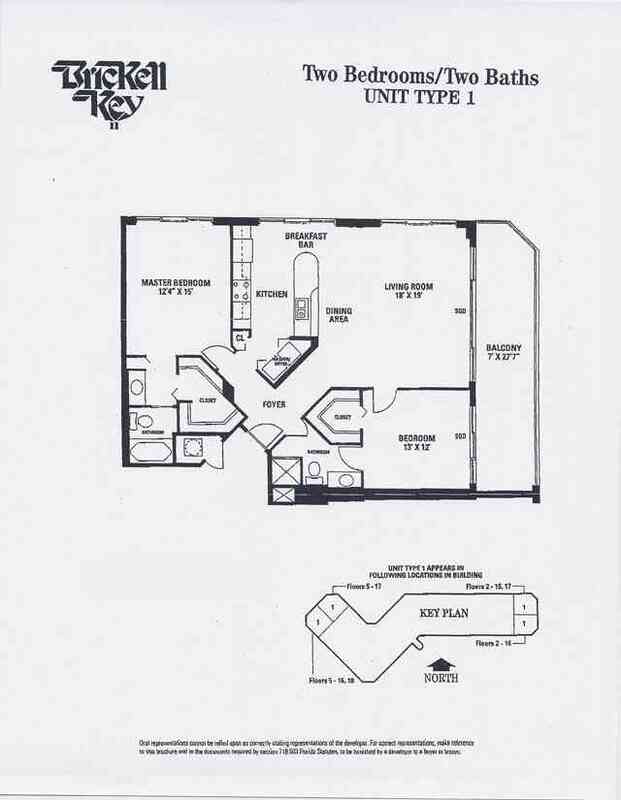 Assigned covered parking and more. 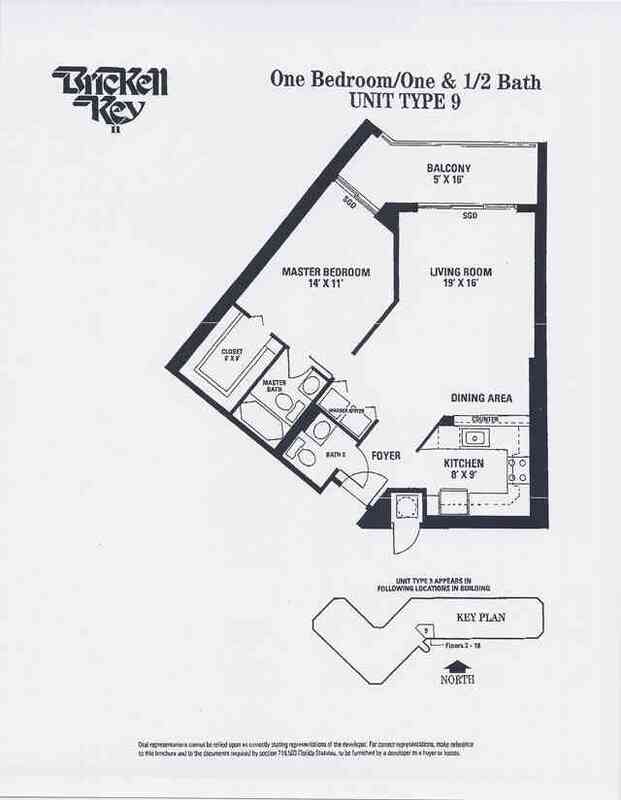 The Brickell Key Two condo is built in such a way that it offers one of best views of the beach and the ocean from all its flats. 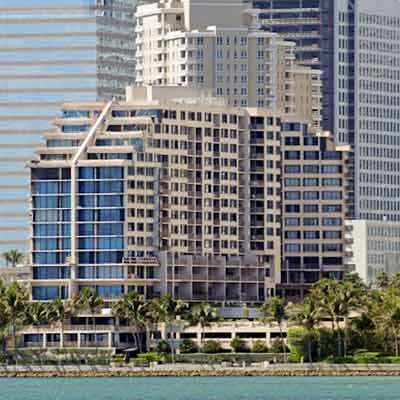 With a 17 storied building the Brickell Key Two is one of the tallest buildings dotting the Brickell Key real estate sky. 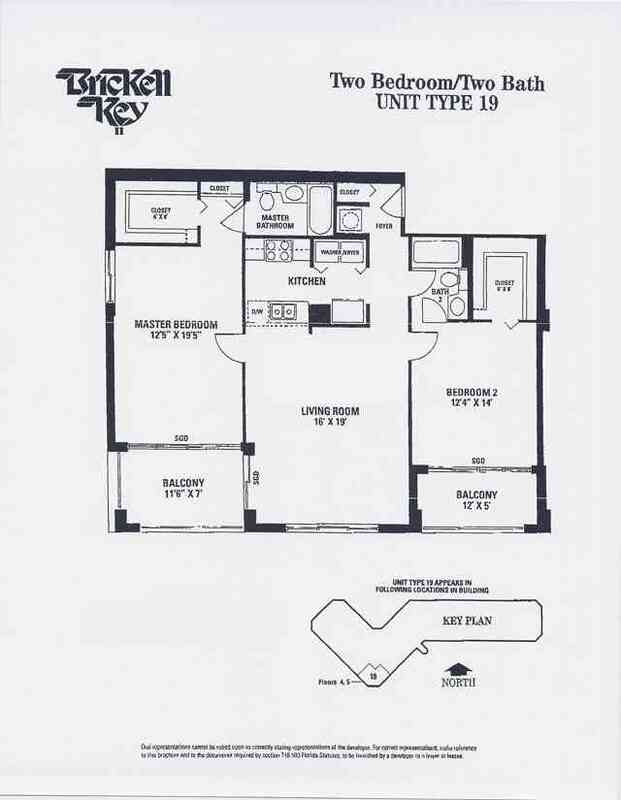 In order to buy a condo flat in the Brickell Key, Miami area you can certainly look into this property, that offers you variety in its prices along with the same quality of amenities as provided by the other types of condominiums. 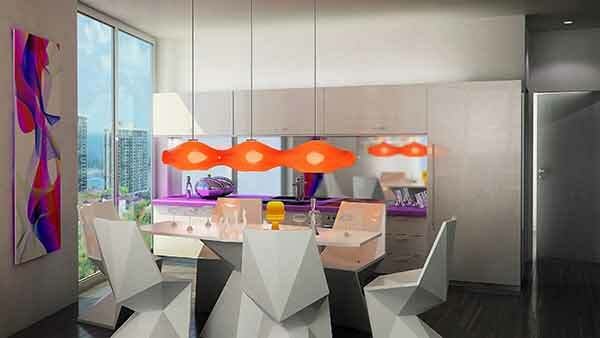 The Brickell Key Two promises you some exclusive scenery and experience of living a private life in this building.